Sassurr had the stone raised in memory of Alvarðr/[H]allvarðr, his father, (who) drowned abroad with all the(?) seamen. May Christ ever(?) he[l]p his soul. May this stone sta[nd] in memory. 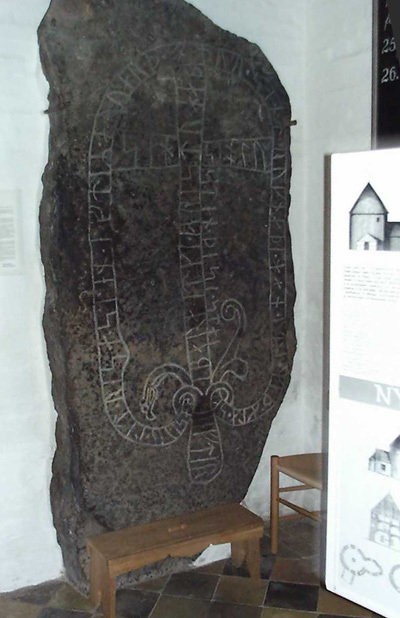 Here's another Bornholm rune stone. This one stands inside Ny Larsker church. Jeanne sent me the photo. Thanks !